YF-12A (60-6935) in flight with the "coldwall" heat transfer experiment. The coldwall project, supported by Langley Research Center, consisted of a stainless steel tube equipped with thermocouples and pressure-sensing equipment. A special insulation coating covered the tube, which was chilled with liquid nitrogen. At Mach 3, the insulation was pyrotechnically blown away from the tube, instantly exposing it to the thermal environment. The experiment caused numerous inflight difficulties, such as engine unstarts, but researchers eventually got a successful flight. Ultimately, 935 became the workhorse of the program, with 146 flights between 11 December 1969 and 7 November 1979. The second YF-12A, 936, was lost in a crash on 24 June 1971. 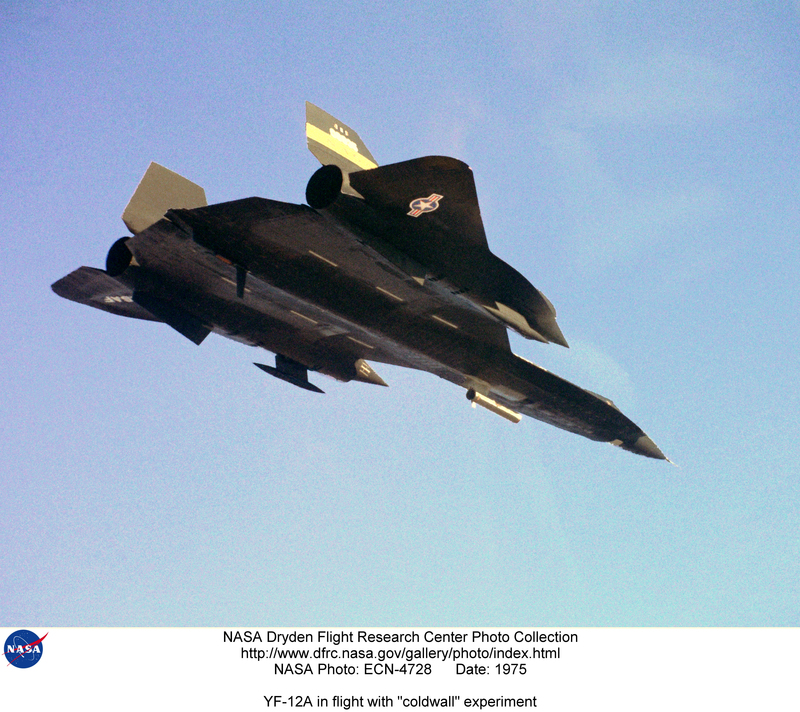 It was replaced by the so-called YF-12C (SR-71A 61-7951, modified with YF-12A inlets and engines and a bogus tail number 06937).